February 07, 2019– WASHINGTON–(BUSINESS WIRE)–Roger Crandall, Chairman, President and CEO of Massachusetts Mutual Life Insurance Co. (MassMutual), on Wednesday advocated for legislation before the U.S. House Ways & Means Committee that would make it easier and less expensive for employers to provide workplace retirement plans while encouraging workers to save more for their own retirements. Enacting the collection of legislative proposals known as the Retirement Enhancement and Savings Act (RESA). RESA would greatly decrease the cost of retirement plans for small employers, and would open up retirement plan coverage options for the growing gig economy. This is excellent bipartisan bicameral legislation and it is time to enact it. RESA would expand workplace retirement plan coverage by allowing so-called open multiple employer plans or “open MEPs,” expanding small-employer tax incentives designed to help offset the costs associated with establishing a new workplace retirement plan; and simplifying and streamlining plan administration. “Open MEPs” would permit unrelated employers to join together under a single retirement plan to harness economies of scale and reduce unnecessary administrative burdens. Increasing retirement plan availability and savings by reducing the costs and administrative burdens typically associated with starting a retirement plan. Crandall endorsed legislative provisions to offer tax incentives for small businesses, like the small employer start-up credits improved by RESA. In addition, he proposed making it easier for employers to correct inadvertent plan administration errors; consolidate and simplify disclosures to retirement plan participants; and make it easier for employers to comply with complex rules that can be difficult and costly to administer under current law. Each of those changes would make it less costly for employers of all sizes, but especially small employers, to offer workplace retirement plans, according to Crandall. Providing new incentives for workers to save more for retirement by enhancing retirement savings credits for those who contribute to retirement accounts and by promoting greater use of automatic savings features. Through automatic contribution features, employees automatically contribute a portion of their paycheck to their workplace retirement plan – and potentially increase savings rates over time – unless the employee expressly elects not to have contributions made on their behalf. Automatic enrollment and automatic escalation have been powerful tools in encouraging employees to save for retirement, Crandall pointed out. Eliminating coverage barriers and increasing savings for populations that currently experience disproportionately lower retirement savings rates. 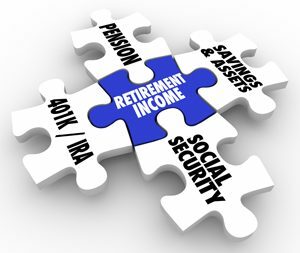 RESA would make it easier for employers offering 401(k) plans to allow long-term, part-time workers to contribute to the plan, enabling them to close their retirement savings gap, Crandall noted. Supporting proposals to facilitate and encourage lifetime income solutions. With ever-increasing life expectancies and the shift away from traditional defined benefit plans, it has become increasingly difficult to predict how much money any given employee will need in order to meet his or her financial needs throughout retirement, and to make those savings last a lifetime, according to MassMutual’s CEO. As part of its mission to promote financial well-being, MassMutual is introducing a new workplace financial and benefits planning tool – MapMyFinances — to help workers assess their personal financial needs and make the best choices regarding short and long-term financial goals. MapMyFinances will be offered at no charge to the millions of Americans MassMutual serves, providing prescriptive guidance that prioritizes emergency funds, college funding, life and income protection, healthcare and retirement savings in accordance with each worker’s individual needs and budget. MassMutual is also working to expand retirement plan coverage among small employers by introducing a new 401(k) plan, Aviator Pro, which is simpler and less expensive for smaller employers.